I go through phases where I read a ton of books… then I wont’ read at all for awhile. Lately I’ve started several books and I’ve actually managed to finish two of them. The first was See Me by Nicholas Sparks. Anywho – See Me will not disappoint. 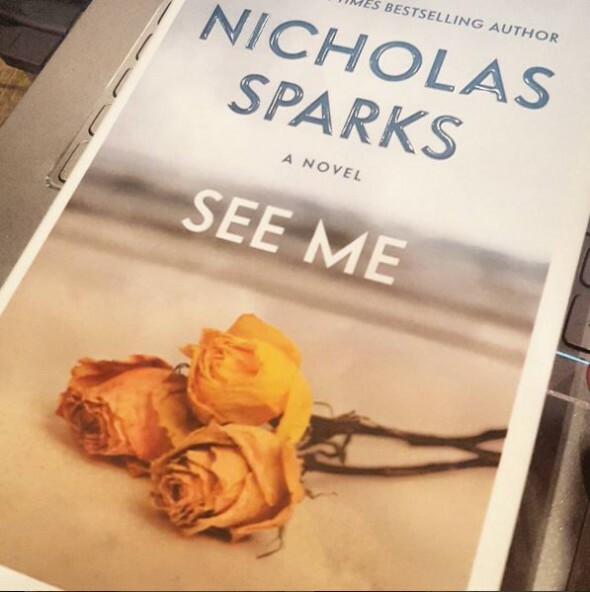 In fact, the last few Nicholas Sparks books (before this one) all started to feel the same to me. Not that I didn’t enjoy the stories, but they sort of all ran together and were very predictable. However, See Me felt different. There was more suspense – the characters were more developed and the story had a depth that felt new for Nicholas Sparks novels. Anyway, if you’re a fan of romance or suspense or a mix of both, I’d daresay you would enjoy this novel. And if you have someone in your life that enjoys books like this – it would probably make a great Christmas gift! Thanks for the 25% off discount code…grabbed a book I’ve held in my wish list for a bit!